As part of Carlos Teixeira's Strategies for Open Innovation Workshop at IIT's Institute of Design our class designed and ran a workshop to test knowledge brokering techniques. Our workshop helped IIT's Institute of Design faculty and students explore the direction of the university on the brink of a new dean and relocation. 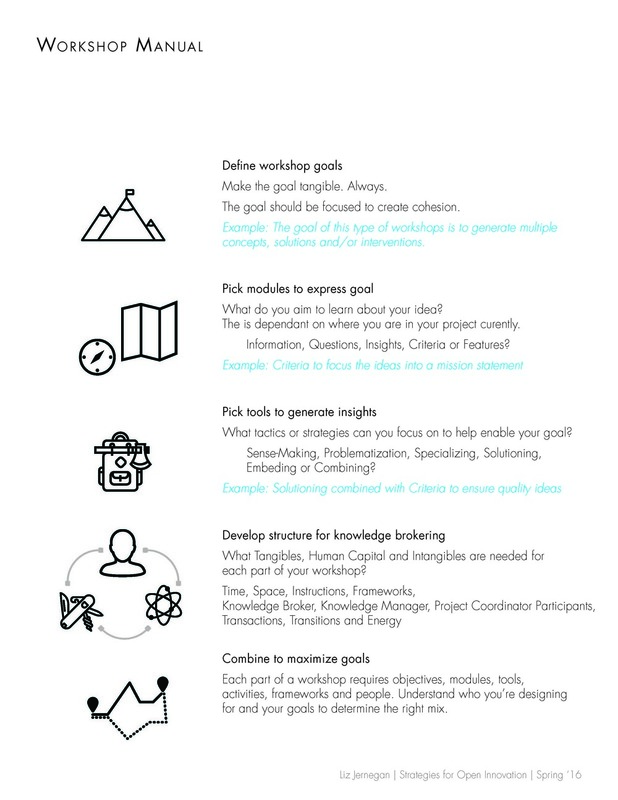 Based on our research and reflection of our workshop we refined terms in knowledge brokering and built out a workshop plan for future workshops. 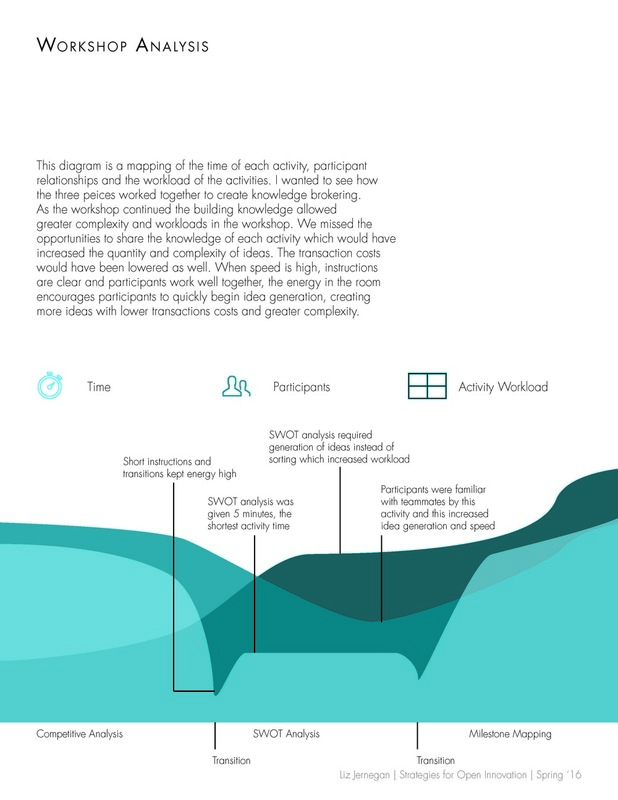 We found that to increase the quantity and complexity of ideas in these activities, we had to effectively manage and consider participants, activity workload, transitions and activities.